Getting new customers can take time—and a lot of work. But I have good news. If you create a sales funnel—it can handle some of the work for you. And when that sales funnel is built on a strong brand with well-considered strategy—it can be a consistent fount of new customers. 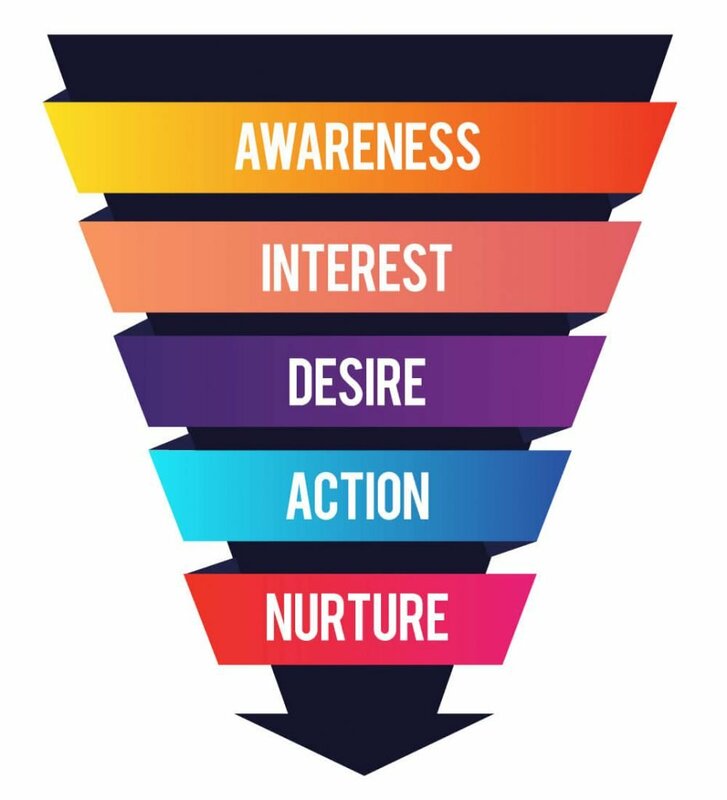 A sales funnel is a visualization of the stages that occur when a prospective customer first becomes aware of your company to when they make a purchase. In other words, it’s your series of marketing efforts that guide people from stranger to customer. It takes 5-10 “touches” or interactions with a person before they become a customer. A sales funnel is a strategic way to guide them through the process—and take some of the manual weight off your shoulders. Each potential customer travels through the funnel—further and further—until they’re ready to buy your product or service. 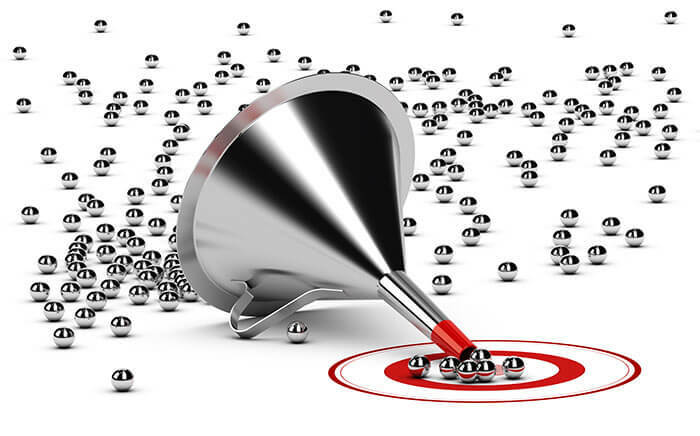 A sales funnel is evergreen and automated! It repeatedly engages and educates to keep you top-of-mind. Though it can be updated as your business evolves, you don’t have to reinvent the wheel. The cogs keep moving, and new customers keep being the result. But I make it AIDAN—by adding “Nurture” as the final step. In my next few posts, I’ll guide you through each step of an effective sales funnel—while focusing on how strong, strategic branding can maximize its success.